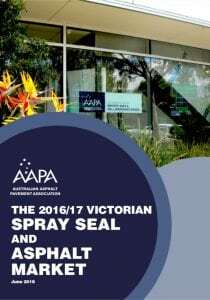 The Australian Asphalt Pavement Association (AAPA), in collaboration with its Victorian branch members has undertaken a survey to characterise, under stand and quantify the capacity of the industry to deliver flexible pavement treatments across the State of Victoria. In the 2017/18 financial year, road agencies were challenged to deliver a larger program of funding than was available in the previous 2016/17 year. In recognition of the challenge such an increase in funding would present, AAPA and its members have engaged pro-actively with VicRoads and Local Government to better understand the delivery of their respective programs. It is anticipated that a continual increase in road construction and maintenance activity is likely to occur in the coming years, where the government may allocate a similar funding level or possibly an increased amount for delivery. AAPA and its members have, therefore, pro-actively undertaken this project to understand and quantify the capacity and capability of the industry to deliver across the State. This report quantifies the scope and size of the market and will assist the industry to better understand the challenges, restrictions and opportunities that exist in the delivery of such a large program of work.